After leaving the band "Era" in the summer of 1991 Lyubomir Malkovski is deciding how to continue, contemplating on different ideas. On the 1st of August he comes up with the name "Er Malak", which he uses for creating a new project. Soon after that appears the idea for the song “Bulgari” (“Bulgarians”). Two weeks later, the draft version of the song is ready and he shares it with Adrian Ivanov with whom they have played in the band "Era". Adri enthusiastically joins the new project. Lyubo also understands about the return of Ivailo Petrov who has played with Adri in the band "Orion". He also joins the new project. The three of them prepare the song for recording and enter Studio 1 of the Bulgarian National Palace of Culture in September. They record the song with the help of the guest musicians Rumen Antov (“Konkurent”) – guitar and Alexander Karanjulov (“Konkurent”, “Era”) – drums. The record is produced by Lyubomir Malkovski. The date 18th September 1991, on which the song is finished – recorded and mixed, becomes the birth date of Er Malak. The beginning is more than promising. “Bulgarians” is broadcasted by multiple radio-stations receiving raving reactions from the media and the fans. Success follows shortly. 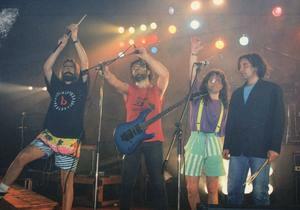 Er Malak receives the first concert invitations in October 1991. At those concerts the majority of the repertoire still consists of the songs of the former Lyubo’s band "Era". 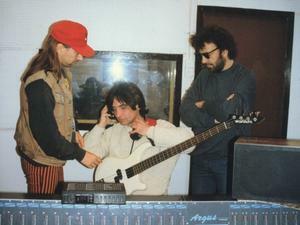 During the same month the band enters the record studio “City” and records the song “Vulcha poroda” (“Wolf Nature”). The song is produced by the TV show “Muzikalna kutia” (“Musical Box”).Till the end of the year more concerts follow, including a participation in Eco Rock Fest “Save Rousse!” in November. Further on, after an invitation for participation in a broadcast of the Bulgarian National Television the band records a new song - “Krastopat” (“Crossroads”). This time the drummer is Orlin Radinsky (“Accent”, “Impuls”). In the end of 1991 Er Malak is voted “discovery of the year” by the fans of “Musical Box”. The months from January till April are full of bookings and different activities followed by more recordings. Gradually during the months of April and May the first album of Er Malak takes shape. Some of the songs date from Lyubo’s times with "Era" – “Wolf Nature”, “Skoropogovorka” (“Tongue Twister”), “Kakvo e griah” (”What’s a Sin”) and “Gradat” (“The Town”) which becomes the winner of the highest musical award in Bulgaria called “Zlatniat Orfei” (“The Golden Orpheus”) in 1990. These songs are recorded with new musical arrangements. Other unfinished songs from the same period - “Opekuni” (“Guardians”), “2010”, “Er Malak” come into being in this album, and still others – “Bulgarians”, “Crossroads”, “Zatvor” (“Prison”), “Na krachka vstrani” (“A Step Astray”) and “Talpata” (“The Crowd”) are entirely created in the Er Malak period. The album is named “Er Malak 1” and is presented for the first time in front of the fans on a concert in June in the hall of the Student Union in Sofia. The new project is received warmly by all – fans and media. More concerts follow on festivals – “Anti AIDS” in Sofia and “Frankofoli – 92” in Blagoevgrad. In the end of September at the first anniversary of the song “Bulgarians” the first edition of “Er Malak 1” is rolled out and quickly sold out. Since then “Er Malak 1” has been re-issued many times. The last edition is from 2005 – a limited CD edition necessitated by the continuing interest in the album and because the magnetic tape technology has become obsolete. 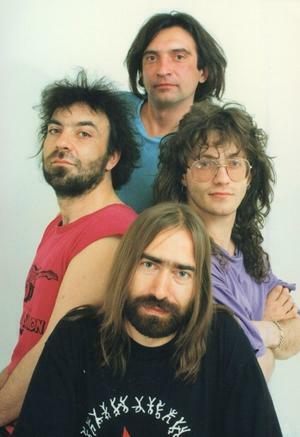 Er Malak is pronounced “Band of 1992” and the album “Er Malak 1” is voted “Album of 1992” at the annual musical awards “Rhythm” organized by the Bulgarian Rock Academy. In February the band enters the studio again and records the song “Stranen chovek” (“Strange Man”). This song is included in all the concerts thereafter and is published for the first time on “Er Malak LP”, which Er Malak issues together with Balkanton record label. In addition to “Strange Man” the LP includes the songs from “Er Malak 1” – “Bulgarians”, “Tongue Twister”, “Crossroads”, “Er Malak”, “Prison”, “2010”,“A Step Astray” and “What’s a Sin”. At the same time video clips are recorded for the songs “The Crowd” and “A Step Astray”. In May the band participates in a charity concert for building of a children’s orthopedic clinics in Sofia. New bookings follow – concerts, interviews, TV and radio shows. 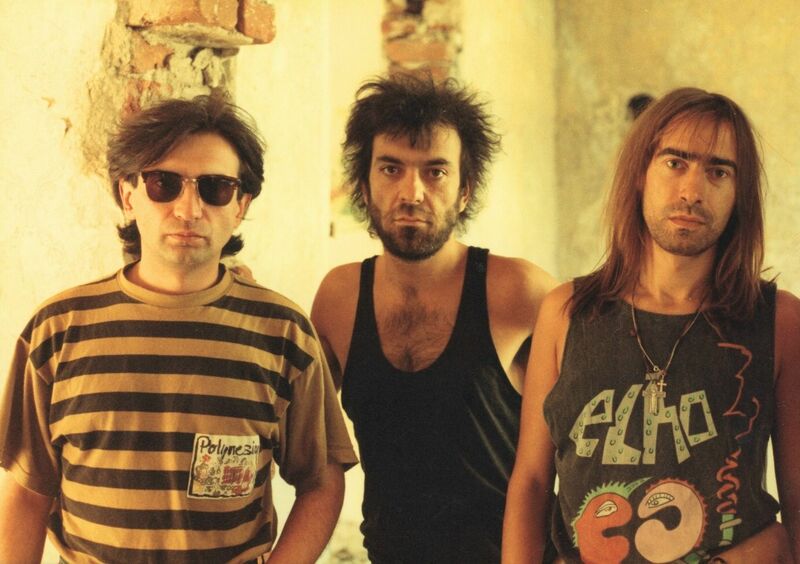 In the summer of 1993 Lyubomir Malkovski, Orlin Radinsky, Adrian Ivanov and Ivailo Petrov decide that it is time for a new project and spent two months in isolation from the world, focusing on the creation of new music. Seven new songs are born: “Vsekidnevie” (“Daily”), “Priznanie” (“Confession”), “Az” (“I”), “Otkrovenie” (“Revelation”) and “Suomi” which text is in Finnish and is written by a friend of Orlin Radinsky from Finland. The album is recorded in November and receives the name “Lichno” (“Inmost”). The completion of the recordings is celebrated with a big concert in the National Palace of Culture in February 1994. “Inmost” is very well accepted and is also re-issued several times. The last issue is the CD edition from December 2005. The band is booked for making the music for a television sequel. The idea is to record 12 songs with different guest singers. Only two of them are finished. At the annual awards “Rhythm” Er Malak is once again nominated for “Band of the year” and also the video clip “A Step Astray” receives a nomination. Until the end of the year the band is on a tour in Bulgaria. Presentations of the two albums and interviews with Lyubo and Adri appear in Italy, Germany, Poland, The Netherlands and England. At the following musical awards “Rhythm” the band again receives a nomination for “Band of the year”. In April Er Malak begins a project for another TV sequel – “The Aquarius Family” and records instrumental music and the song “The Aquarius Family”. The last stage appearance of Er Malak is in February 1996 in the “Universiada” hall. After that the band stops being active for many years to follow. During that time the group members work on different projects separately. In 1998 Lyubomir Malkovski participates in the recording of Adrian Ivanov’s song “Vrana” (“Raven”). During the same year he has a successful performance in the “Sound of Passport” song competition together with Orlin Radinsky and Konstantin Ignatov - bass. His song “Deteto v teb” (“The Child in You”) is nominated and issued in a compilation album with the awarded songs from the competition. 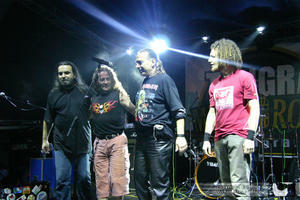 The same song is published as a bonus track in the re-issued CD “Er Malak 1” together with “Raven”. During the next 1999 Lyubomir Malkovski participates once more in the same competition with a new song “Veche ne znam” (“I Don’t Know Anymore”) which is nominated as well. This time he is at the stage with Konstantin Ignatov – guitar, Vladimir Leviev – bass and Petar Iliev – drums. At the same time Orlin Radinsky moves to England where he starts a successful career as a studio musician and a drums teacher. In England he participates in many different projects. Lyubomir Malkovski entirely discontinues his stage performances but continues working on new ideas for songs, instrumental music and albums. Adrian Ivanov decides to undertake the task of re-issuing of “Er Malak 1” and “Inmost”. He receives the band’s consent and the albums are released on CD in December. The revived interest in Er Malak leads to an invitation for a concert in September 2006 organized by “Tangra Mega Rock” radio. This coincides with the 15th anniversary from the recording of the song “Bulgarians” and the band accepts with enthusiasm the opportunity to mark this event. At this concert the bass player Vladimir Leviev takes the place of Ivailo Petrov. The concert is recorded and issued on DVD “Er Malak – 15th Anniversary Concert”. The DVD contains additional materials about the band – photos, interviews and unpublished materials and is produced by Lyubomir Malkovski. The concert is very inspirational for the band – the fans sing along all the songs and in the pauses they even sing alone. This excitement leads to the decision to start working on a new album. In August Lyubomir Malkovski together with Orlin Radinsky, who returned to Bulgaria for the occasion, and Konstantin Ignatov begin recording two new songs. Unfortunately those songs remain unfinished. Nevertheless, Lyubo continues working on his new ideas. The invitation for a concert in March 2010 gives an opportunity for the band to reunite. This time with Konstantin Ignatov – guitars and Ivan Nestorov (“Era”) – bass. The idea for a new album comes to life again. At this concert Er Malak presents three brand new and unknown songs of Lyubomir Malkovski: “Dokosvam te” (“Touching You”), “Noshtem” (“In the Night”) and “Sram” (“Shame”). All of them are very well accepted by the fans. At present Lyubo continues working on the new album. It is expected that this new album will include all his songs created after 1996.